Hey there may be you have heard about this commenting on other blogs can increase your back links or reputation on Alexa right. I have written a article on this you must read if you wanna improve ranking your blogspot blog on alexa. But you have not heard about this that comment can improve you ranking of your blog post on search engines. Now may be you are thinking how is this possible, yes it is possible after reading the whole article you will come to know how is this working tremendously for blog post. Even you can say comment is the life on blog post that I come to know after blogging more than 2 years. NOTE- Most important thing is user experience if readers will write comment then readers spend time will increase that is one of the key factor to get good rank on Google, well for this you also required Fast Loading Blogger Template. May be you know that SEO (Search Engine Optimization) almost working on keywords right, then in comments only people talk about the main keywords. What does that mean search engine spider will get more same keywords or some time dissimilar keywords to your post. Then definitely the post will pop up on the top of the search engines. If your content is more in the article search engine like this, after getting lot of comments on the article your post length ultimately increase what does that mean you post will like by Search engine spider. Well, I suggestion for you at this point. Do not publish spam comments, it will be a negative impact for your blog on long run. Yes it is true people interested in comments too, because real things about the post you can come to know quiet easily by reading comments on blog post. This thing I come to know from my friends, he always look more than blog post comments, he make me understand about this concept. This is really work for any blogger, even you and I sometimes do comments when we have seen the blog post having comments. Here I have written a blog post how comment on other blogs help and I have written how to comment on other blogs to drive traffic to own blog. This is the question going on my mind every time when I have started blogging two years ago, but my this blog only few months old. Come to the topic Yes you should publish link containing blog post because people will come to your blog for free.Then also want some thing from you right, this is a rewards for you and one more thing do check before publishing the link. Because the link may be contain some thing which will break your policy so make sure first then publish. I know there are other options you have, I mean there are many comment system you can embed on blogger, but those kind of words will be belong to the other company not to your blog.That's why you will not get preference of those words on your blog according to search engine. Once again, I will suggest you do not publish spam comments, even I am going to delete spam comments on my blog but slowly. 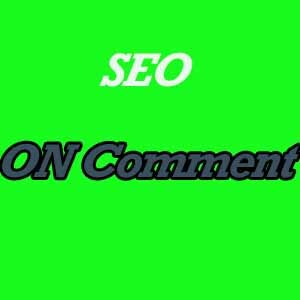 Is there you want to know about Blogger comment system for search engine point of view.